Add a little inspiration to your keyring! These engraved round keychain fobs feature a simple picture and motivating message. 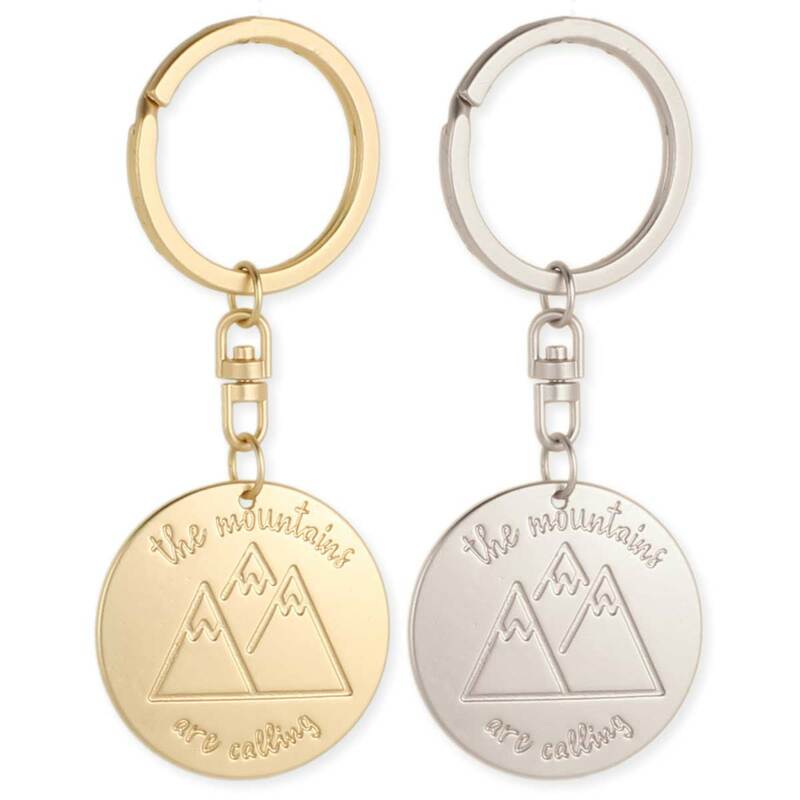 Engraved with 3 mountain peaks and the message, The Mountains are Calling, use this gold or silver keychain on your next hiking adventure! Measurements (approx.) 1 3/8 x 3 1/2"